Where are the best spots to propose in Liverpool? With the help of Angelic Diamonds, who offer a variety of marquise engagement rings , here is a guide for you If you’re thinking of popping the question in the city and exactly where you should do it. After all, Liverpool has a romantic side to it that you may want to explore if you’re thinking of popping the question! One 2018 survey highlighted that Liverpool is home to some of the kindest people in the UK. Of course, it’s also home to The Beatles too! 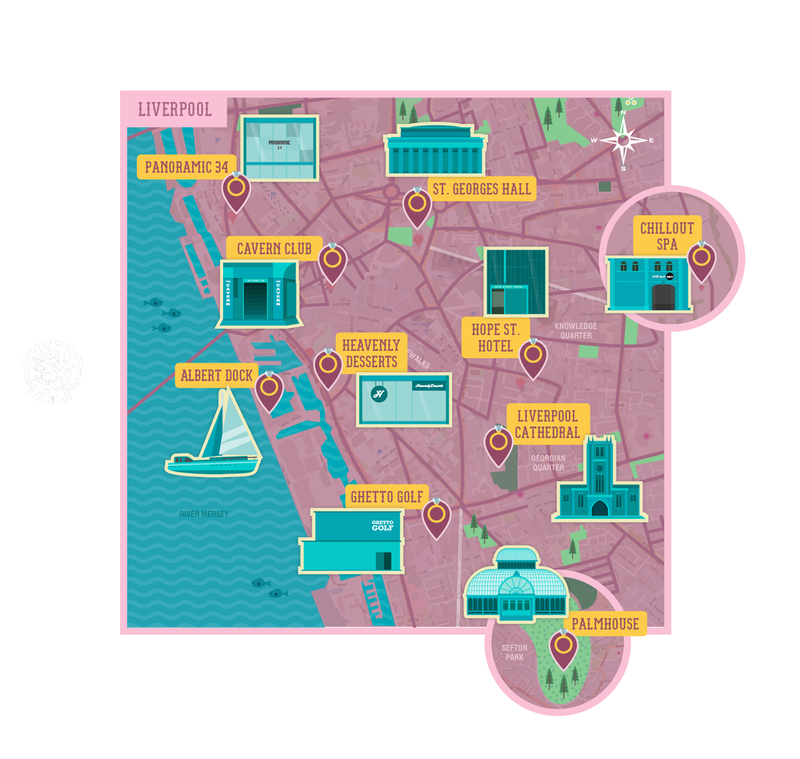 Overall, Liverpool is a place full of life, so where better to propose to your partner? The architecture and décor of St George’s Hall are elegant and romantic — a perfect setting for not only a proposal, but a wedding too. Visit the venue on an ordinary day or get tickets for an event for something spectacular. Ghetto Golf is Liverpool’s 18-hole mini golf experience, situated in the Old Cains Brewery and is most definitely a unique way of proposing to your partner. Enjoy good music, some street food, and try to impress with a hole in one. Hope Street Hotel is known for its chic furnishings and organic feel, it doesn’t skip on romance though. It’s actually been voted as one of the world’s coolest hotels in its opening year of 2004. Rooms have oversized beds draped in Egyptian cotton where you can enjoy a cosy morning, snuggled up to your fiancée. Pop the question over some delicious food and a bottle of bubbly in the award-winning restaurant or keep it private in your room and book a table to celebrate. Sefton Park may be the perfect place if your loved one is fond of a picnic on the grass! There’s plenty to see in Sefton Park, from waterfalls and bandstand to the Victorian Palm House — enjoy a full day together. Albert Dock once played a huge part in global trade in the 19 th century, and now they’ve been transformed into a scenic hub of restaurants, bars, and museums. Take your pick from a range of cuisines and reserve a table for you and your loved one, looking out onto the water. Take some time out to enjoy their expert treatments and award-wining facilities. Chill Out Spa impresses before you step through the doors, situated within the gated walls of the home of Lord Derby — Knowsley Hall. Spend some quality time together, away from the hustle and bustle of the main city before asking the big question. From irresistible cookie dough treats, to Instagram-able waffles, this place is the ultimate destination for indulgence. Does your partner have a sweet tooth? If so, popping the question over a luxurious delicacy at Heavenly Desserts could be an unforgettable proposal. It’s a view not to be missed. Take in 360˚ views of the city from the tower at Liverpool Cathedral which is 152m (500ft) above sea level. If you want to pop the question beneath the stars, head to the Cathedral on a Thursday for extended opening hours. Panoramic 34 offers a fine dining experience along with magnificent views where you can look out onto the river and take in the buildings below. Where better to see Liverpool’s skyline from than on of the UK’s highest restaurants? After you’ve enjoyed your meal, ask your loved one to marry you with the full city as your backdrop — how could they say no? Situated on Liverpool’s famous Matthew Street, The Cavern Club is a great place to declare your love for your partner if they’re a music fan. If, like a lot of people, your appreciation for Liverpool began with The Beatles, where better to express your love than at The Cavern Club? With music playing most days in the venue, why not choose a quieter time of day to drop to one knee?